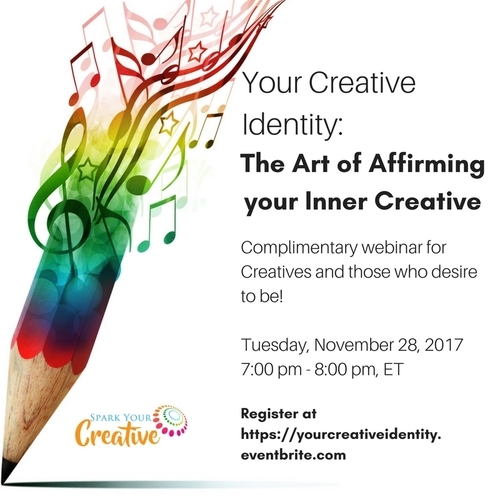 Do you actually believe you are a talented and creative individual capable of creating wonderful things? Sharon Burton is an artist, art curator, creative life advisor and reiki (level II) practioner in the Washington, DC area. She is a self-taught visual artist whose preferred medium is collage and mixed media and has exhibited her art in galleries, art venues and other settings across the country since 2007. Sharon has curated a number of art exhibitions in the Washington, DC area since 2006 and has served as an art consultant for novice art collectors. Since 2016, she has focused on helping people in "creative recovery"...those looking to revive or jump start their creativity through workshops, her blog and as the host of The Mindfully Creative Podcast which features artists and other creatives who are using their unique talents to create more mindful communities and a safer world.